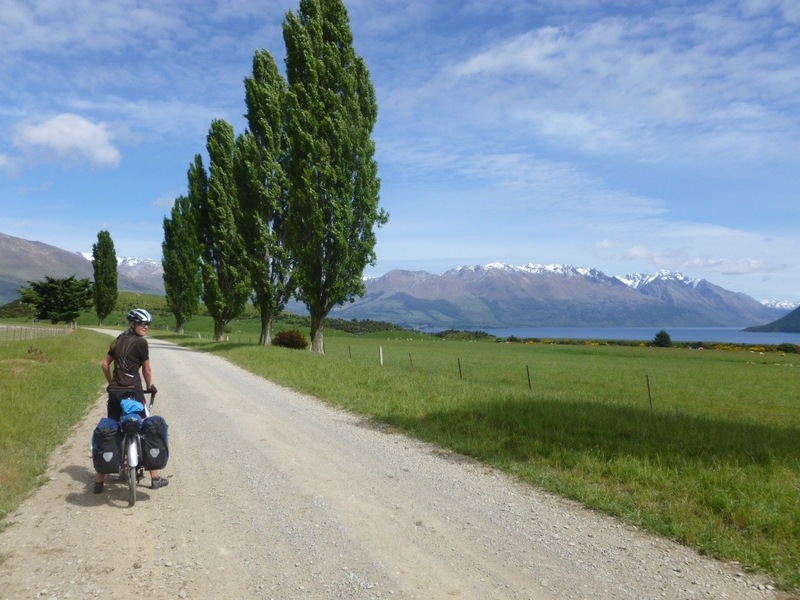 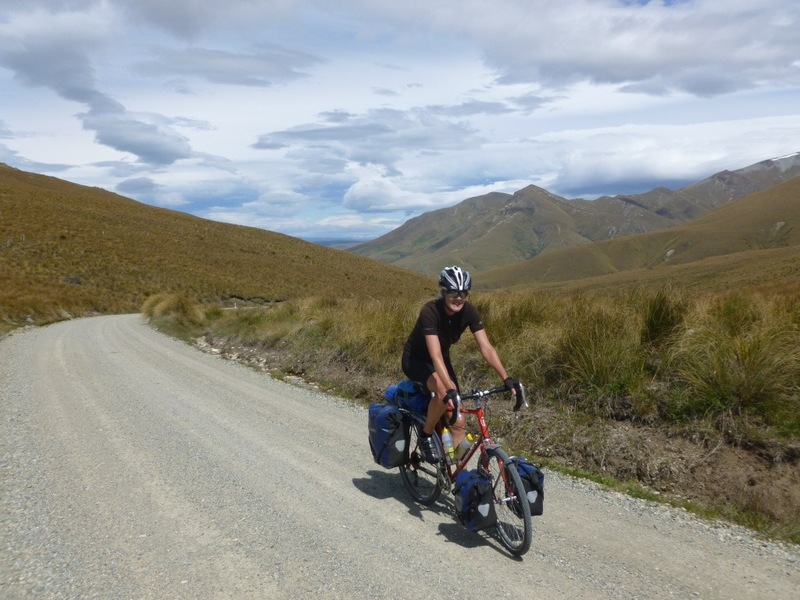 After so much hilly cycling, we left Te Anau relieved to have flatter terrain ahead. 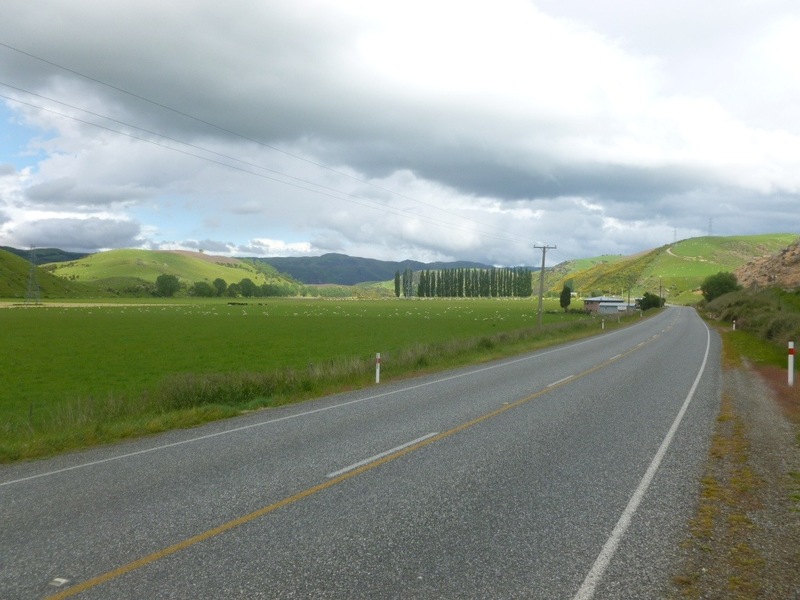 We sped across the countryside through Lumsden and Gore. 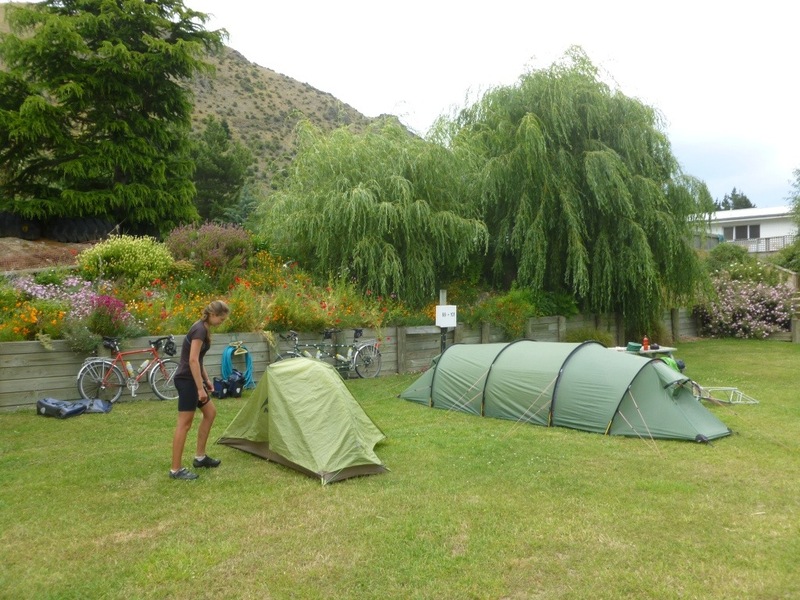 The campsite at Lumsden was not crowded! 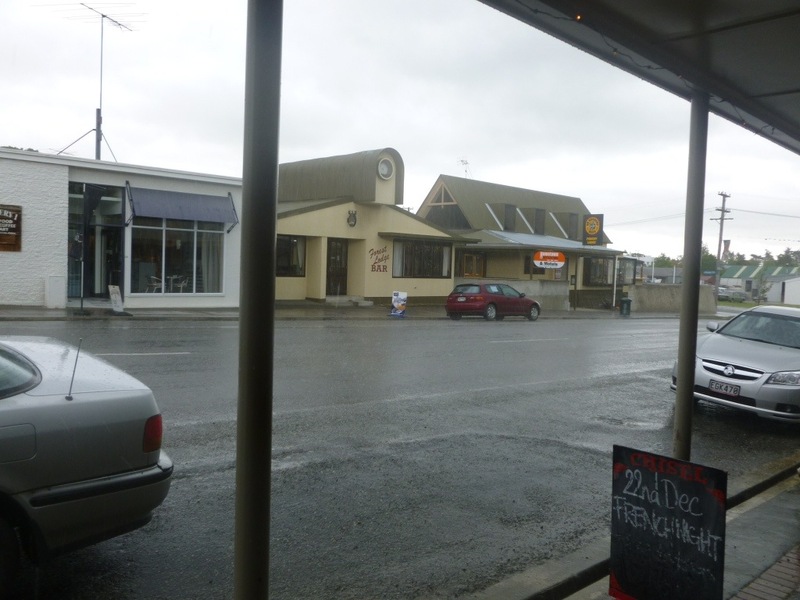 We didn’t have good weather all the time – we stopped in the town of Tapanui, where we had thunder and hale. 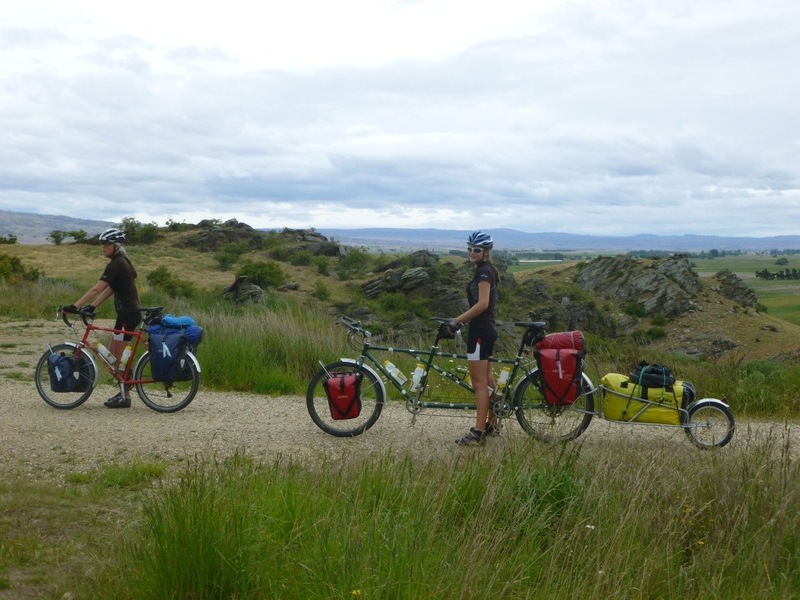 Fortunately, we met Jackie and Alistair, who stopped to offer us a bed for the night – wonderful hospitality! 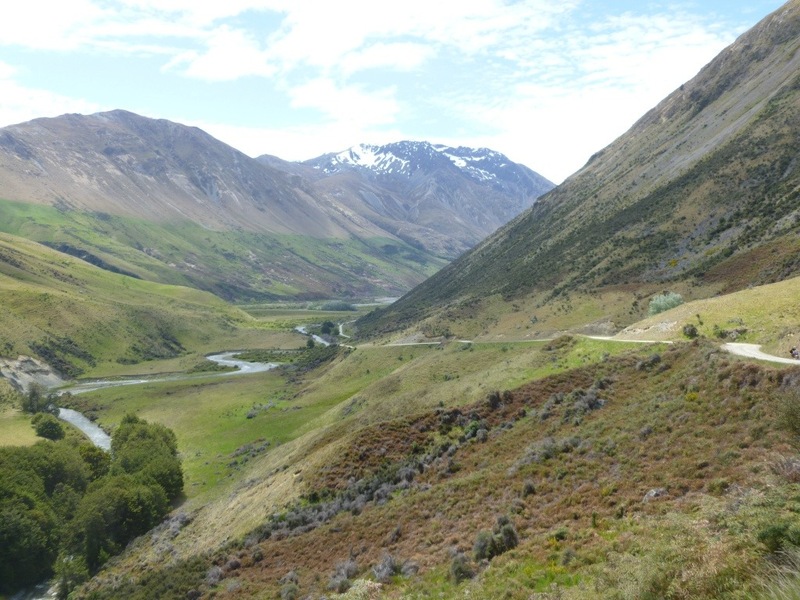 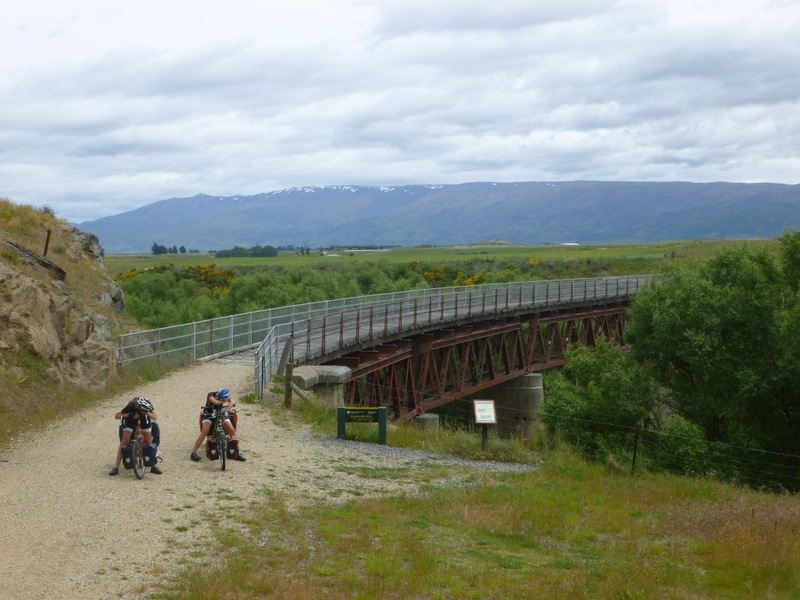 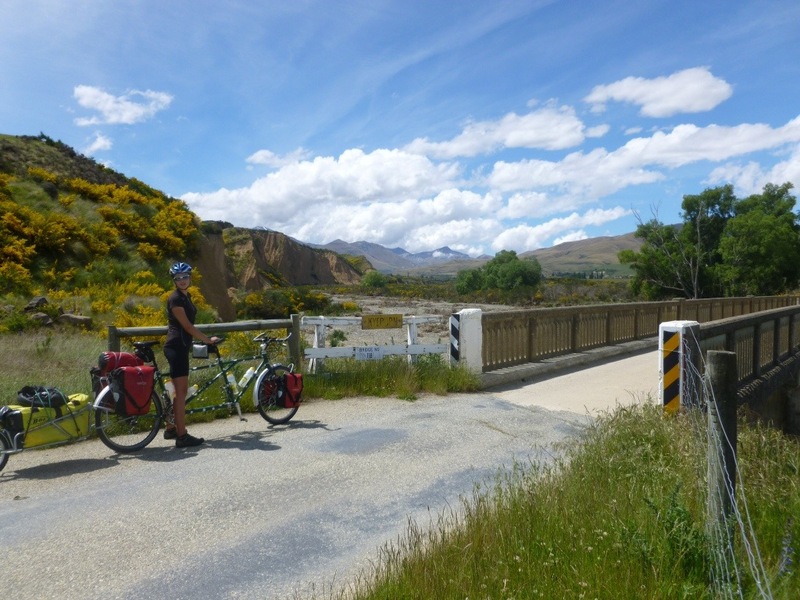 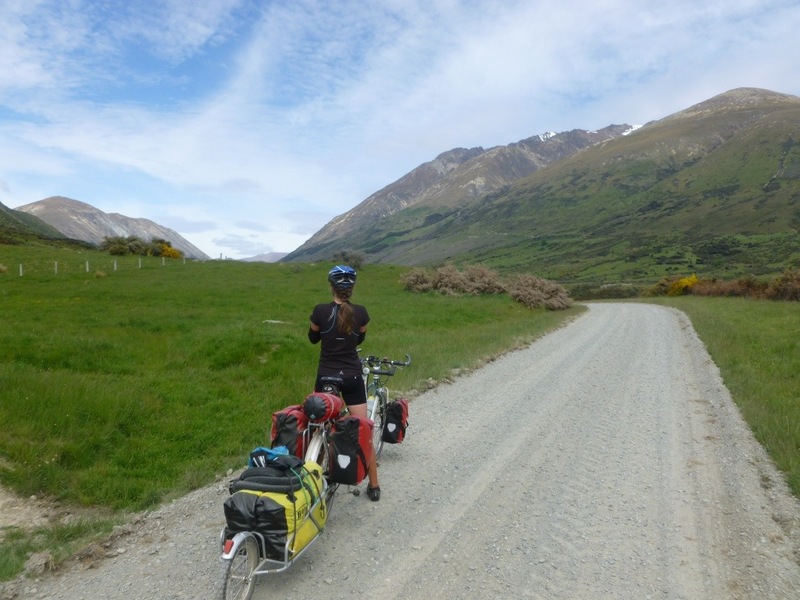 At Alexandria, we joined the Central Otago Rail trail – a destination for cyclists wishing to get off the road and enjoy some reasonable gradients. 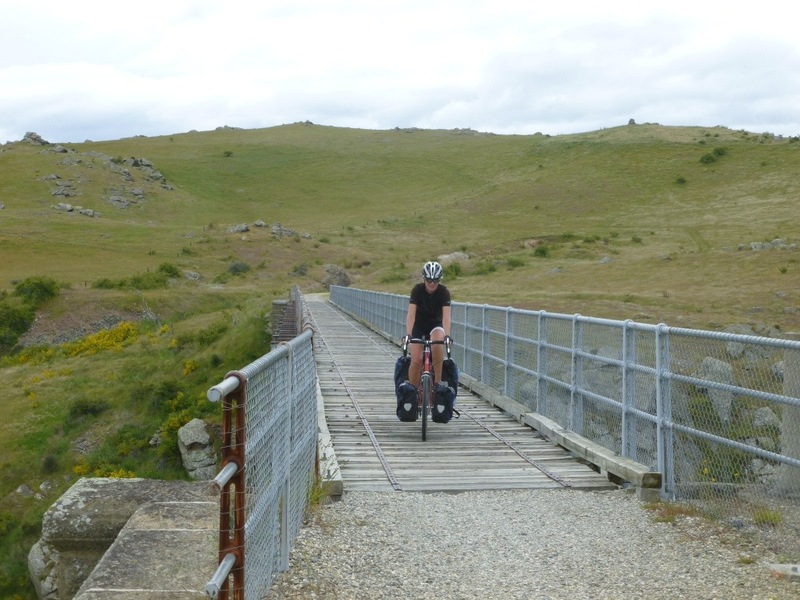 The route has many bridges – all a bit shakey on the bike! 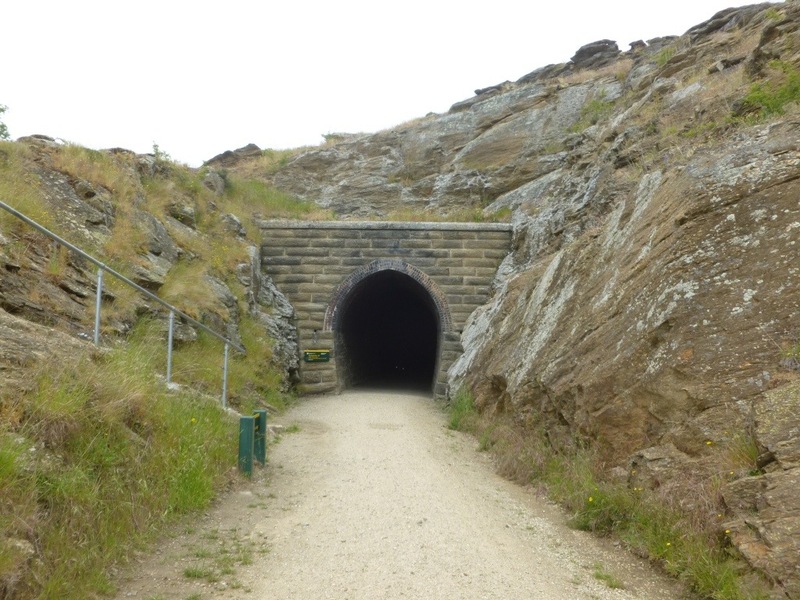 Of course, there are also tunnels – not very long, but very dark – we struggled to see even with our lights on. 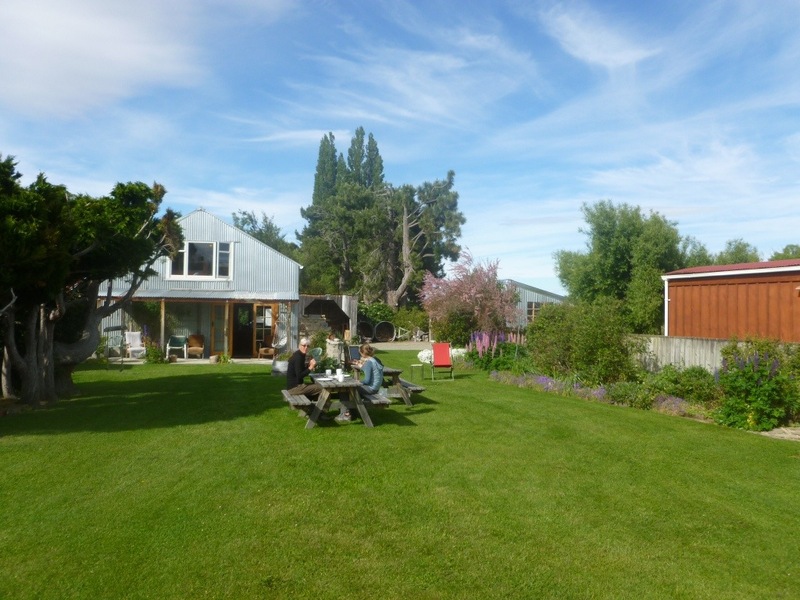 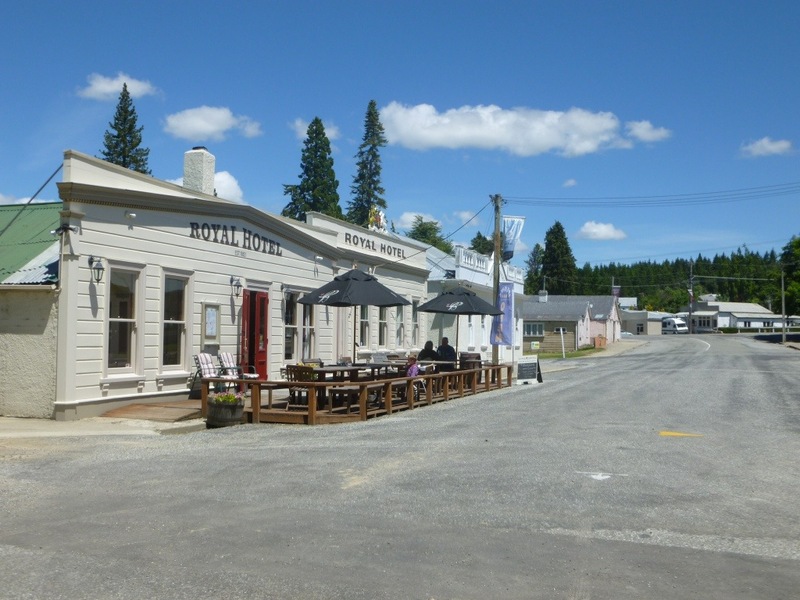 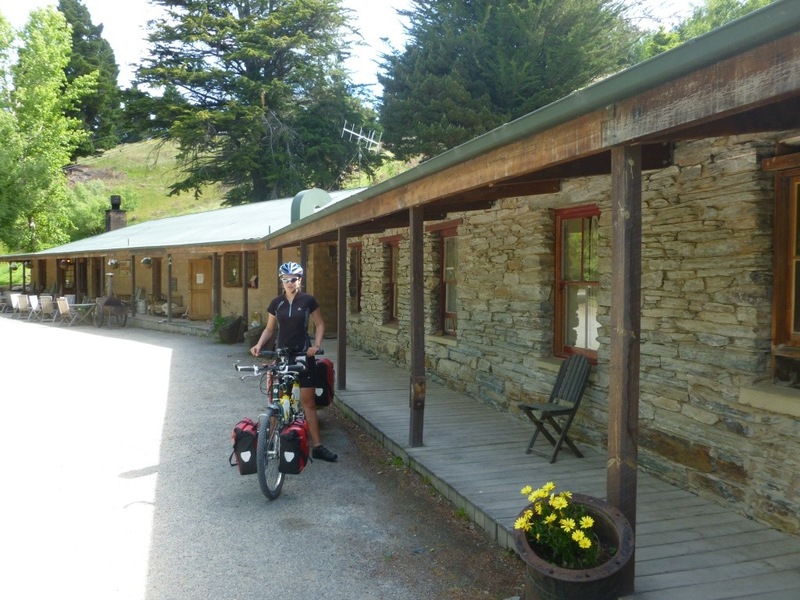 We eventually reached the small village of Oterahua where we stayed in the nicest backpacker/ campground. 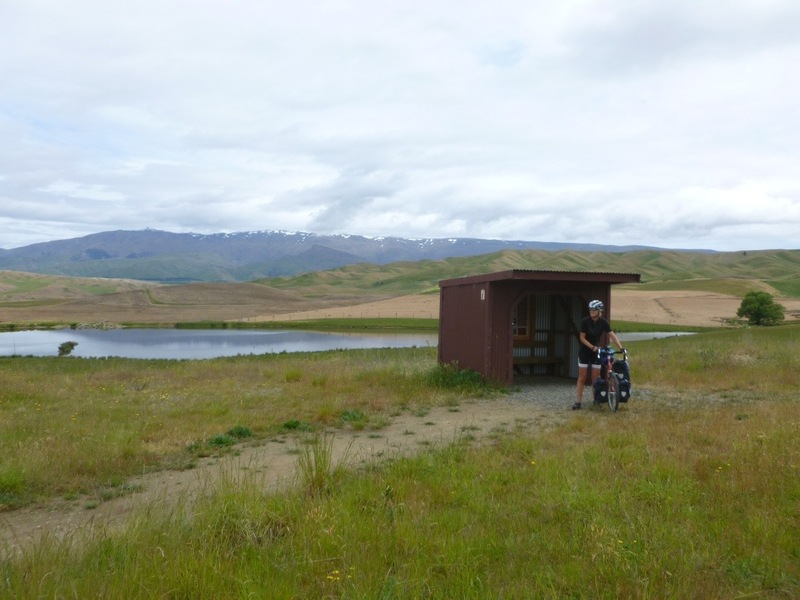 We were the only ones there. 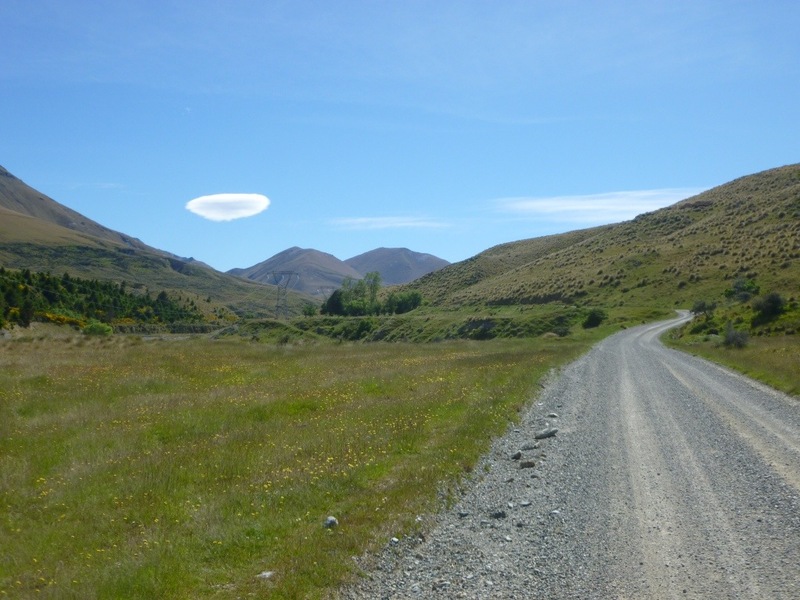 Our route from Queenstown to Te Anau was on mostly dirt roads via the Mavora lakes. 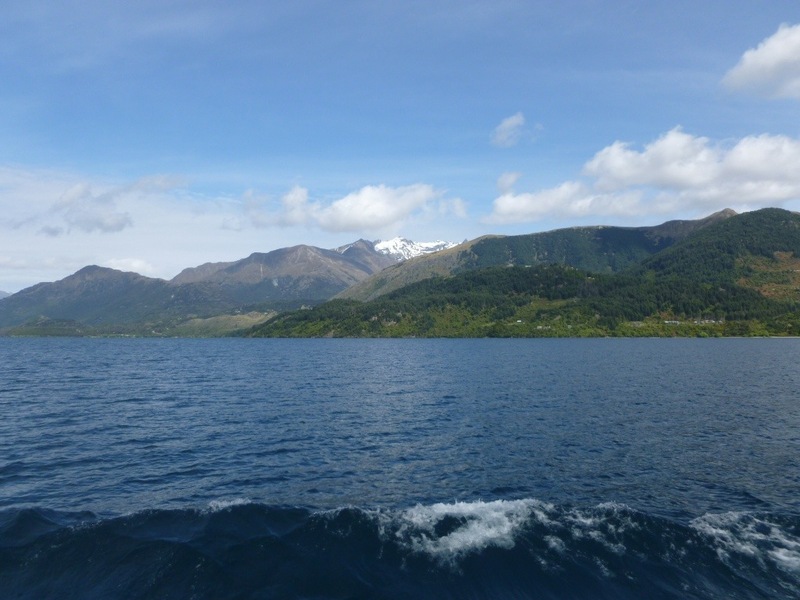 The journey starts with a trip over Lake Wakatipu on the steamship T.S.S Earnslaw – a fantastic experience in itself. 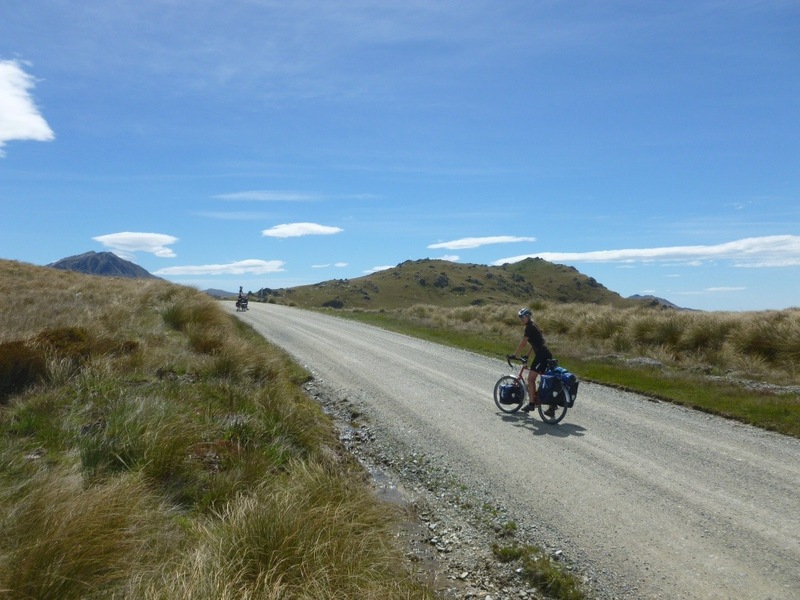 On the other side of the lake we disembarked at Walter Peak and started cycling along the dirt roads on the edge of the lake. 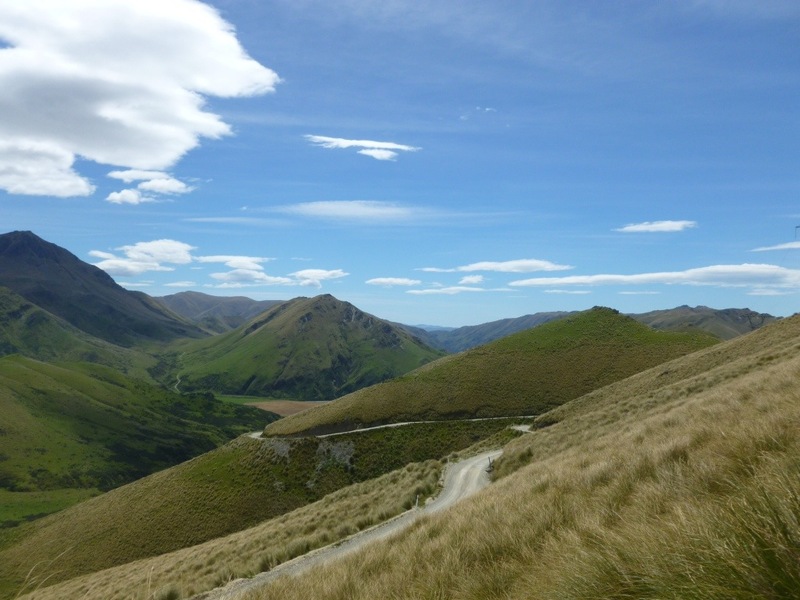 It is a perfect place for scenic mountain biking. 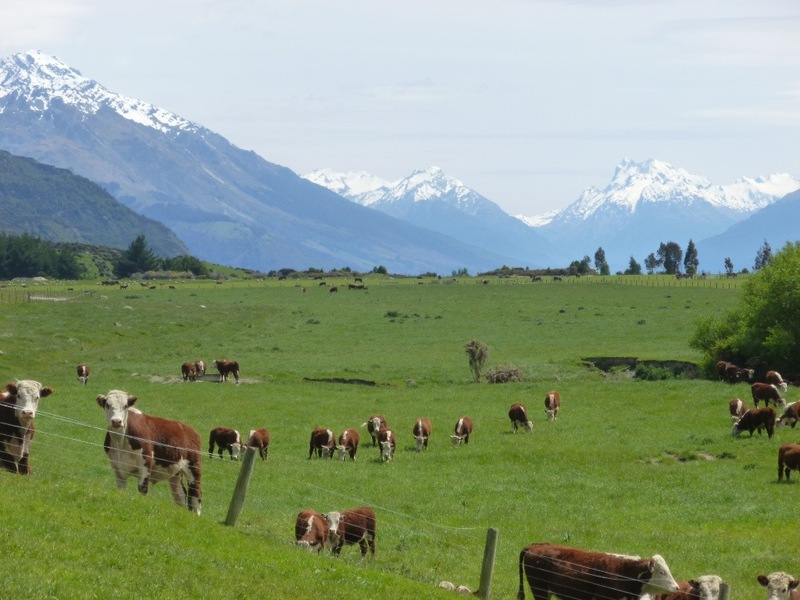 We passed numerous herds of cows feeding on lush pasture. 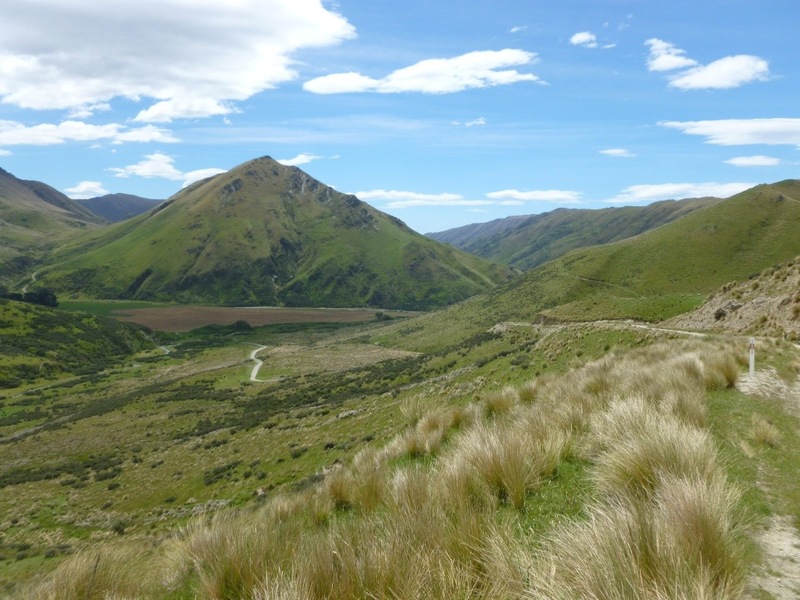 Eventually we headed away from the lake and up the valley. 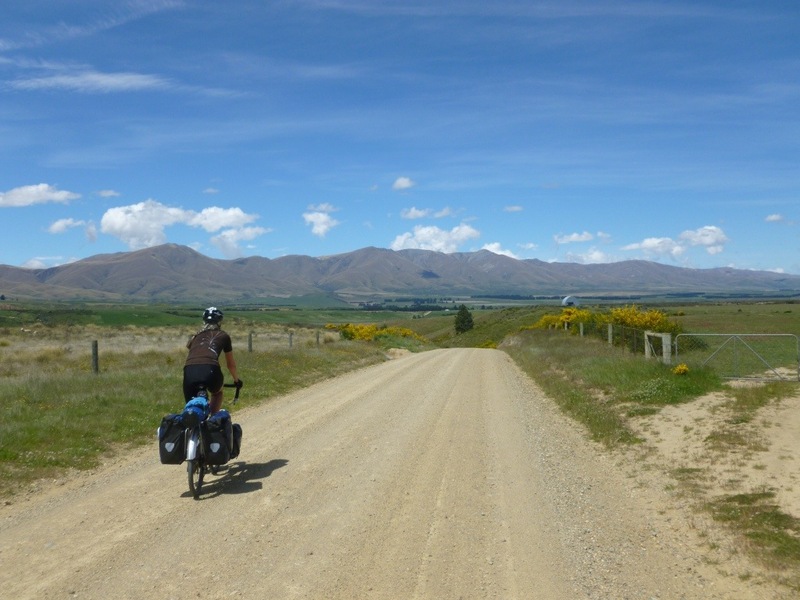 The initial gradient was easy, although the road surface reminded us of Chile – the grader had just been through. 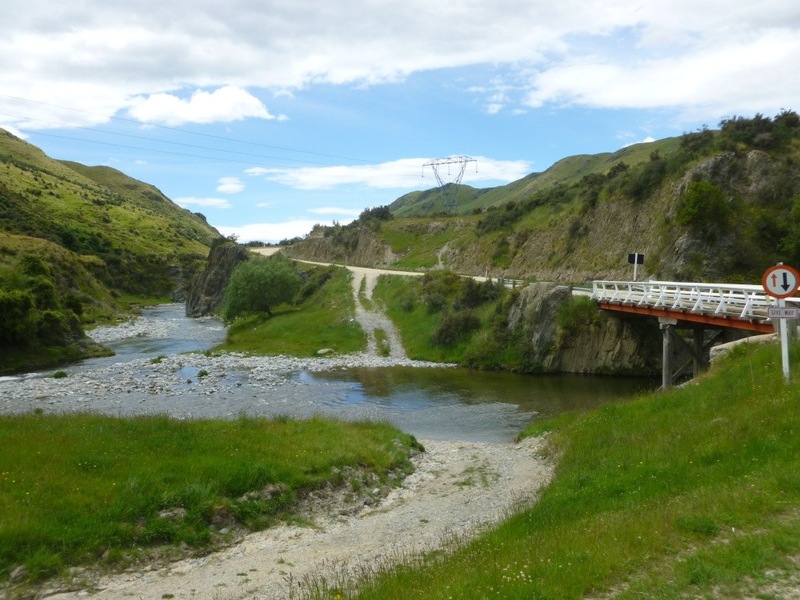 We hadn’t anticipated any ford crossing. 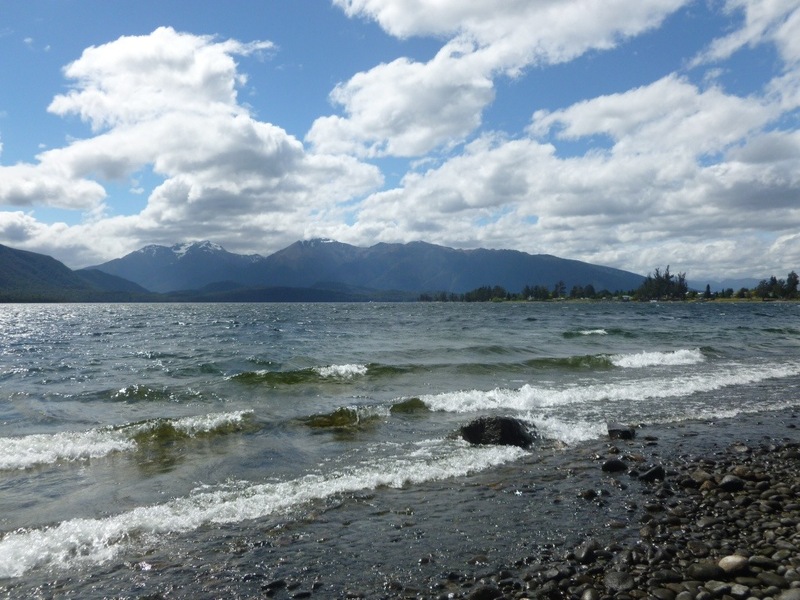 It was a hot day and the water initially looked refreshing. 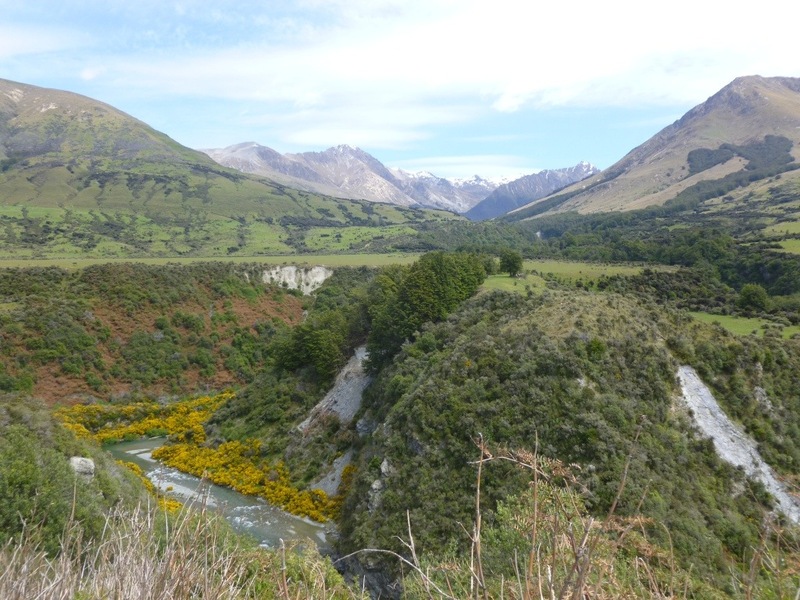 Of course, by the time we reached the other side, our feet were stinging with cold. 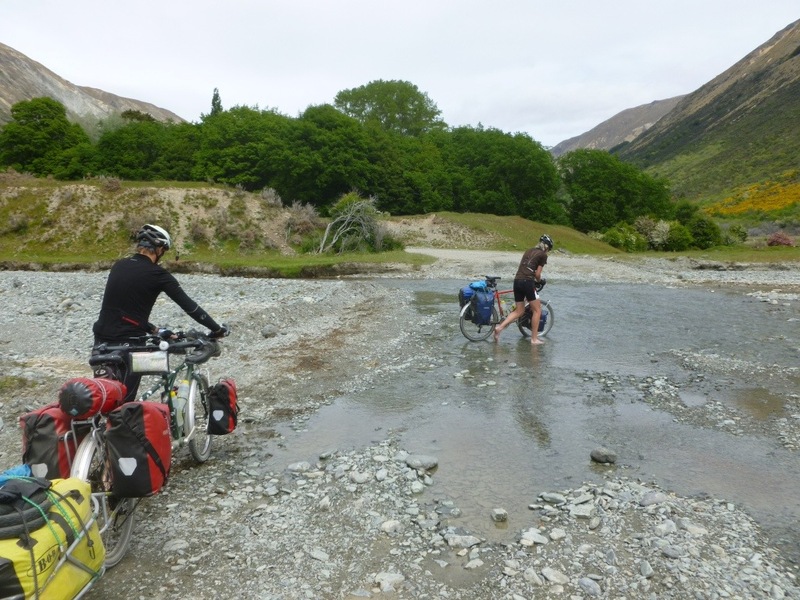 We had to cross another ford later in the day when the sun had disappeared, the wind blowing and we were more exhausted – needless to say, we were less than impressed! 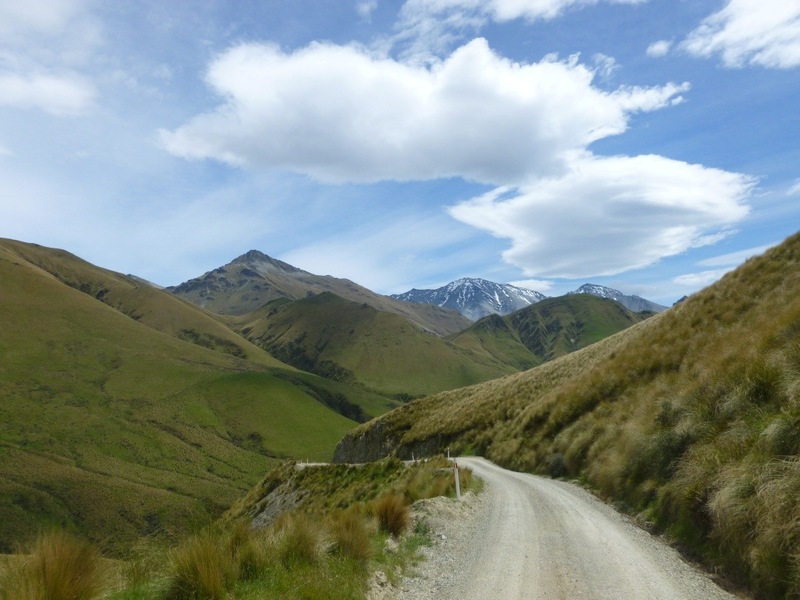 After the first ford we started the real climb. 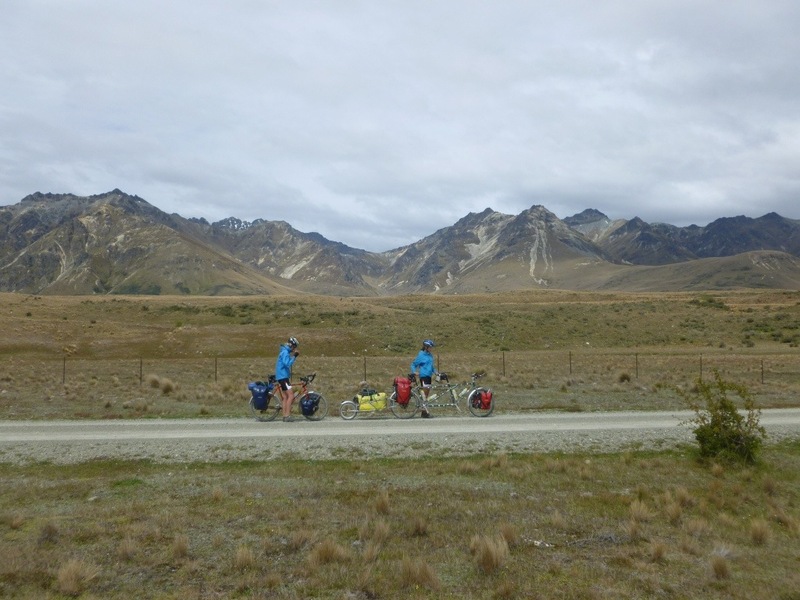 The combination of gradient and road surface soon saw us pushing the bikes – for about 30 minutes. 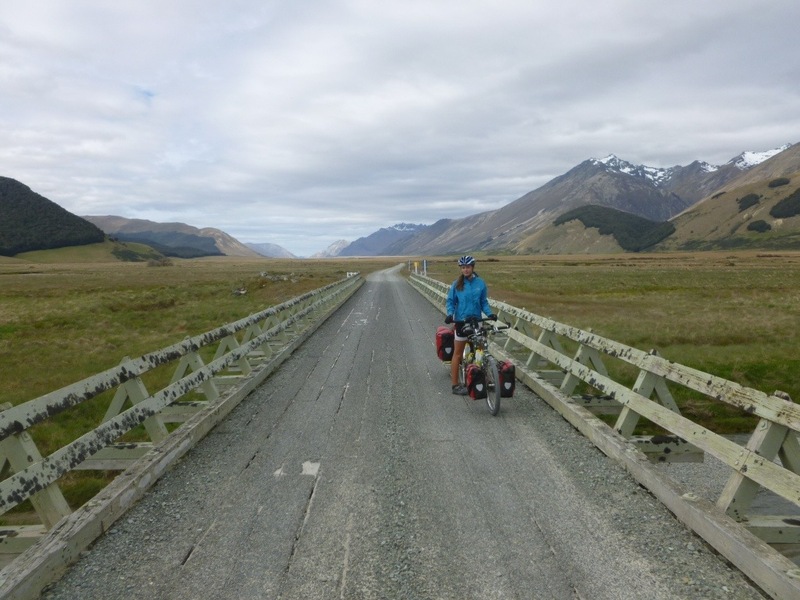 The top of the pass was extremely remote, and the landscape turned grey under the cloud. 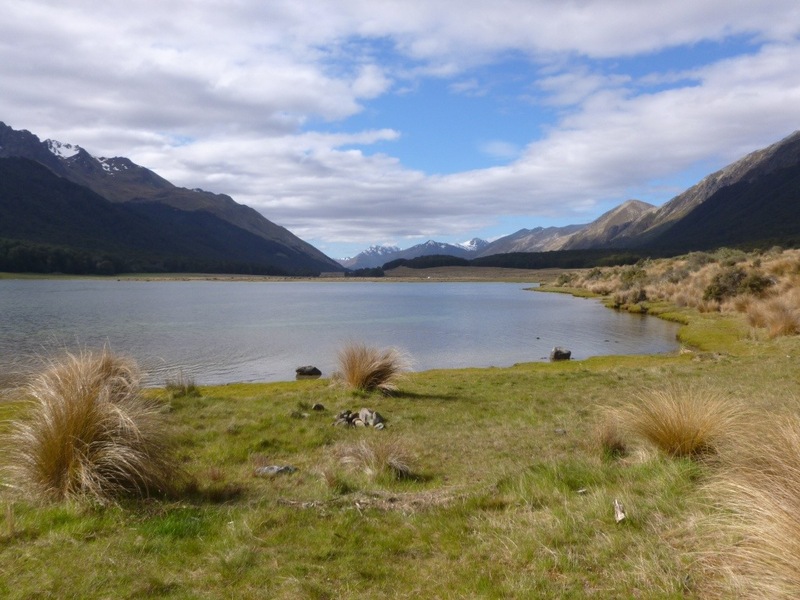 We eventually reached our overnight destination – Mavora lakes. 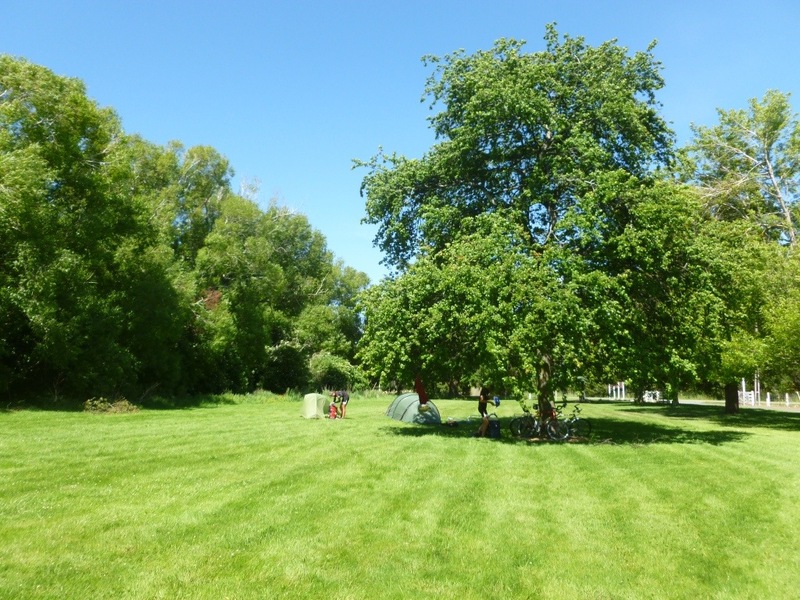 Our campsite was idyllic. 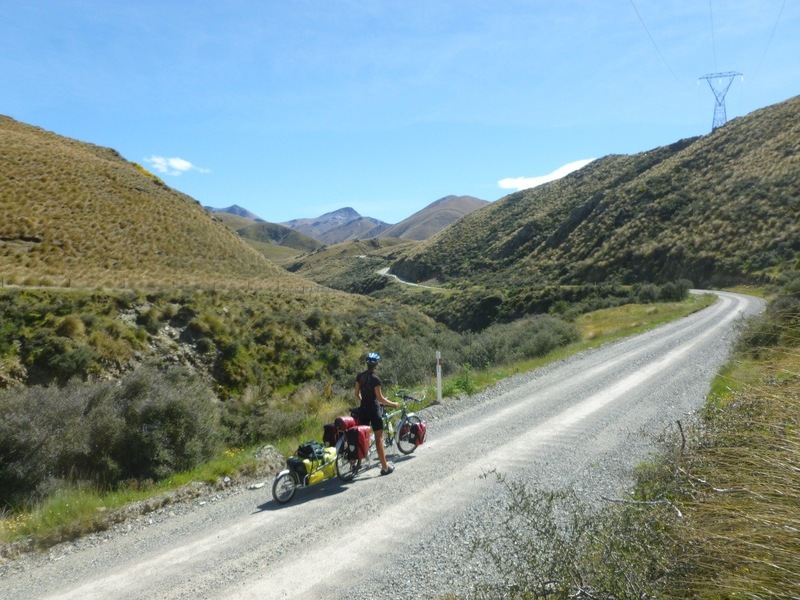 What was less appealing were the sandflies, which later led to severe itching and scratching. 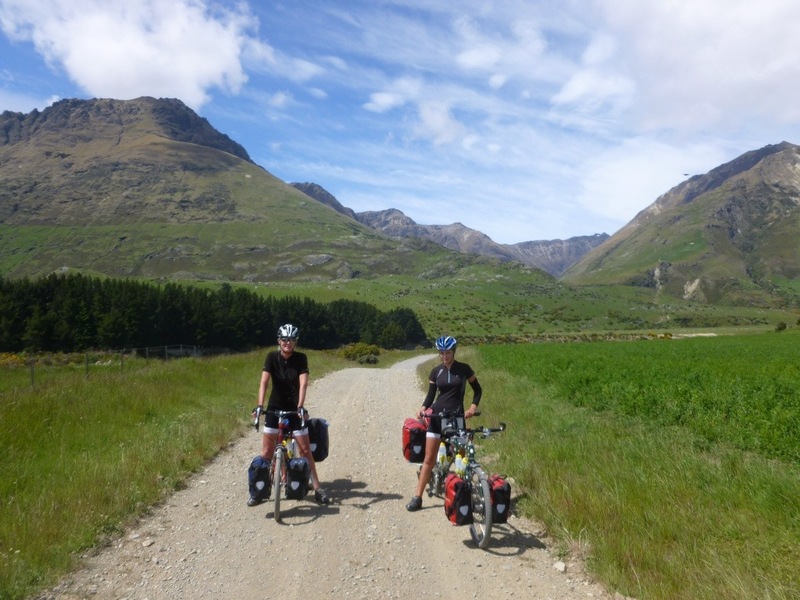 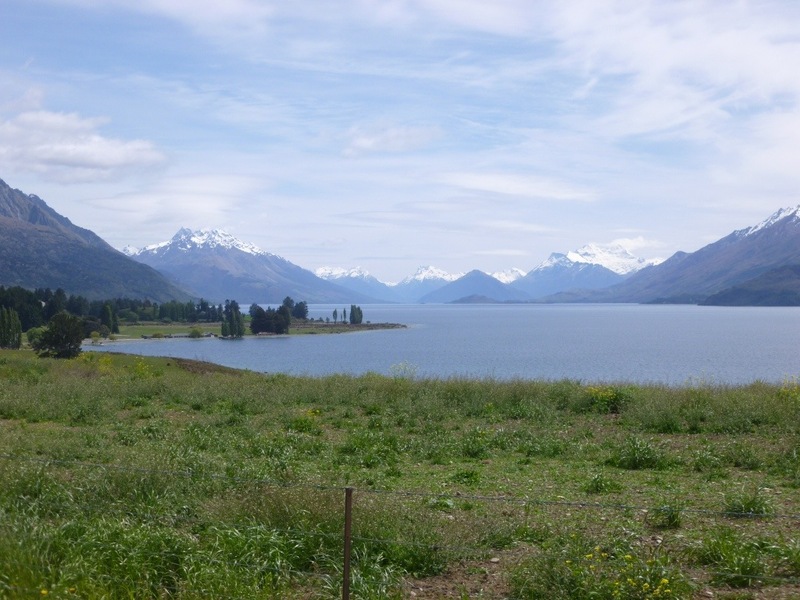 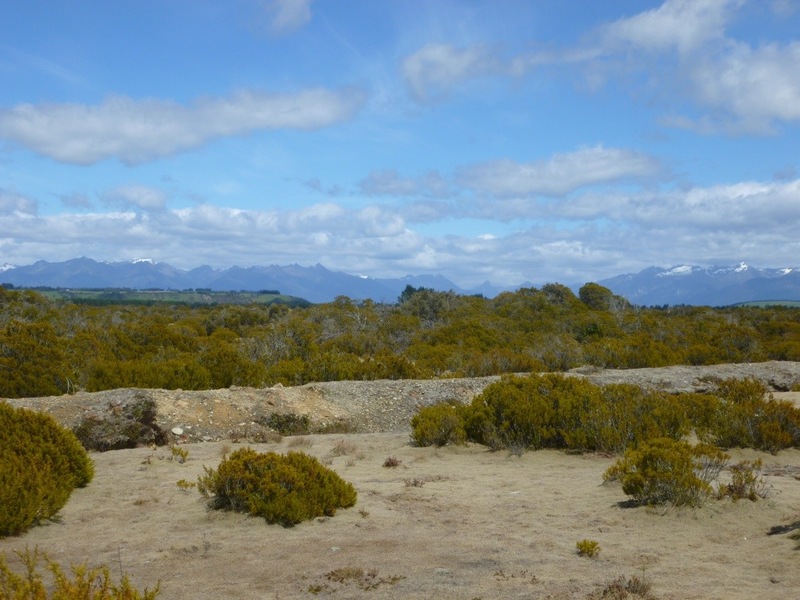 The following day, we progressed rapidly down the valley to Te Anau – staying by the lake for a couple of nights.